What’s extremely valuable about the future is that you know it is coming. You can prepare yourself, and take actions now that will benefit your future. You can delay gratification, develop positive relationships by being considerate of others, and work to develop new skills. These strategies, and many others, create large rewards in the future from relatively small efforts in the present. If you save ten dollars a day, each day, in a few years you’ll be able to pay your future self ten thousand dollars. When you factor the future into your decisions, those decisions create a more desirable future. 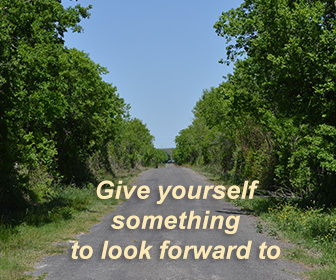 Looking toward the future also will improve your discipline, effectiveness and experience of fulfillment today. As you’re building a great future you can live at your best in the present. Just knowing that the future is coming puts you at a great advantage. Being able to do something positive about it vastly multiplies that advantage. Claim the full benefit of your good fortune. Make choices that enable you to live well now while also creating your best possible future.